It’s time to announce the plans for my 2017 bike tour in Sweden, Norway and Finland! This summer I will be participating in a three-month long cycling adventure in some of Europe’s most northerly places – many of which are high above the Arctic Circle, where the sun never sets during the summer months and caribou, wolves, wolverine and bear run wild in a vast wilderness area known as Lapland. My 2017 bike tour in the Nordic countries of Sweden, Norway and Finland is going to be an amazing adventure… and I can’t wait to share the experience with you here on the Bicycle Touring Pro website and in the videos I plan to publish on my popular YouTube channel. On May 25th, 2017, I will fly from Los Angeles, California (in the United States) to Umeå, Sweden (in northern Europe) for the start of my next big bicycle touring adventure. This will be my 17th consecutive year of bicycle touring all around the world… and I’ll be returning to a part of the world that I’ve both been to several times before and absolutely love. 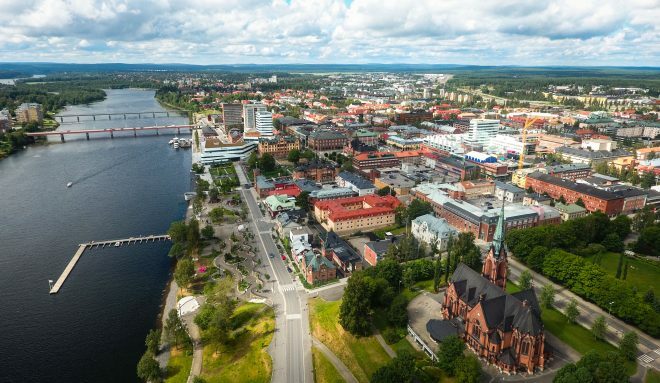 I’ve finished two previous long-distance bike tours in Umeå, Sweden (in 2015 and 2016)… but this year Umeå will act as the home-base for my 2017 bike tour in the Nordic countries of Sweden, Norway and Finland. I plan to spend just two nights in Umeå at the start of my trip this year (to rest and recover from jetlag, while at the same time prepping my new Co-Motion Cycles Siskiyou touring bicycle for its maiden voyage.) After my bike is assembled and I’m all rested up from the long flight to Europe, the real bike tour will begin! After a couple days of rest and recovery in Umeå, Sweden, I’ll begin cycling to the North Cape in Nordkapp, Norway – mainland Europe’s most northerly point. 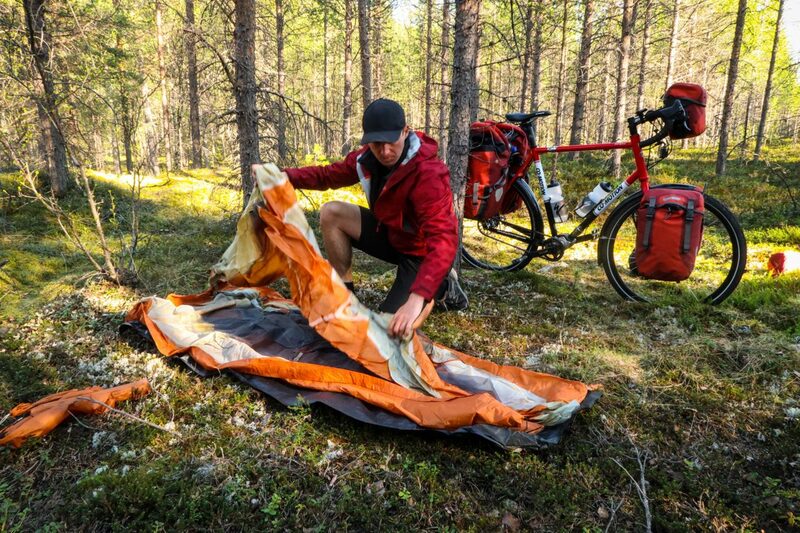 Over the course of the following 25 days, I will cycle approximately 2,250 kilometers (1,400 miles) while sleeping in my tent in the middle of the forest on almost every single night of the trip. I’ll bathe in lakes and rivers and occasionally stop at small, local libraries to check my email and upload photos from the ride to the Bicycle Touring Pro Facebook and Instagram accounts. The map above shows the approximate route I plan to take on my bike tour this year. 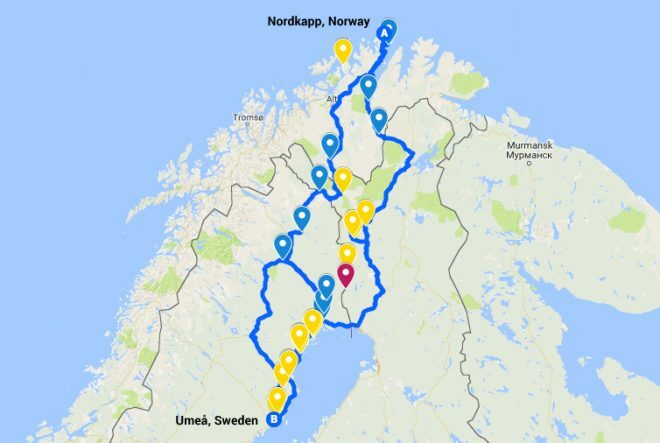 I’ll begin by traveling north from Umeå, Sweden and hooking up with the EuroVelo Sun Route, which weaves a westerly path to Nordkapp, Norway. Once in Europe’s northern-most place, I’ll turn around and begin cycling south on the EuroVelo East Europe Route, which winds its way through northern Finland and then back down to Umeå, where my bike tour originally began. In essence, I’m going in a big circle – from Umeå, Sweden up to Nordkapp, Norway and then back to Umeå, Sweden. Note: The map above is a custom map that I created for my 2017 bike tour in Sweden, Norway and Finland using Google MyMaps. The yellow, blue and red/purple markers on the map indicate the location of libraries, supermarkets and various points of interest along my route. If you want to learn how to create custom bicycle touring maps like this for your own cycling adventures, be sure to sign up for the Bicycle Touring Pro Coaching Program – where I use several detailed instructional videos to show you how to map out safe and enjoyable bicycle touring routes like this one on your computer and then transfer that information to your smartphone, GPS or paper maps, so you have a detailed and easy-to-follow means of navigating once you get out there on the road. 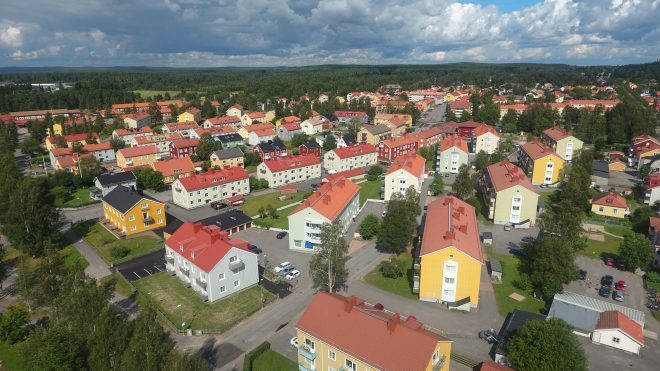 After I finish the 25-day bike tour to Nordkapp, Norway, I’ve rented an apartment in the center of Umeå, Sweden and I plan to stay there for approximately 45 days. During this time, I will be editing the photos and videos I shot during my 25-day bike ride to the north; I’ll be working to update “The Essential Guide To Touring Bicycles” so that the information in that book is the best it can possibly be; and I’ll be shooting a series of new videos to be included with the Bicycle Touring Pro video coaching program. Plus, it will be fun just to live and work in such a beautiful part of the world. I have several friends that live and work in Umeå, Sweden, so hopefully some of my time in the city will be spent visiting with these people and building those relationships. After my 45 days in Umeå, Sweden comes to a close, my friend Rob and a friend of his from work are going to meet me in Umeå and we are going to spend approximately 7-10 days cycling north from Umeå to the nearby city of Oulu, Finland (approximately 500 kilometers/310 miles away). Click here to see a map of the approximate route we plan to cycle. This will be the 5th long-distance bike tour that Rob and I have done together over the last several years. We originally met in 2012 when we both participated in the Bike Switzerland Challenge Tour. Since that time, Rob and I have become good friends and have conducted three other bike tours together in France, Finland and Norway. 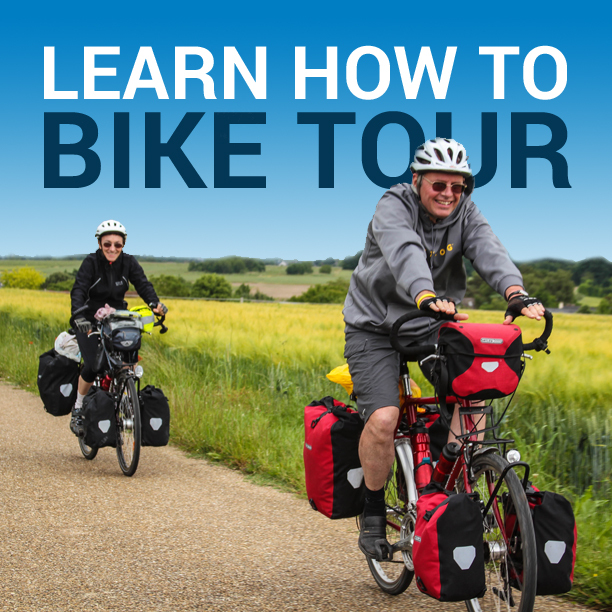 I’m looking forward to riding with Rob again… and I look forward to sharing the bike touring experience with Rob’s friend, Doug, who is going to be joining us on this week-long bicycle touring adventure in Nordic Europe. After my 90 days in Schengen Europe is up, I’ll fly back to Los Angeles, California where I will meet with my doctors again (I’m recovering from a recent cancer diagnosis) and go through a series of medical tests. Hopefully everything will be fine and I’ll be given a clean bill of health. After that is finished, I plan to spend the next three to four months driving around the western United States in my brand new Dodge Caravan. I bought this van with the dream of using it as a sort of stealth bicycle touring camper van. 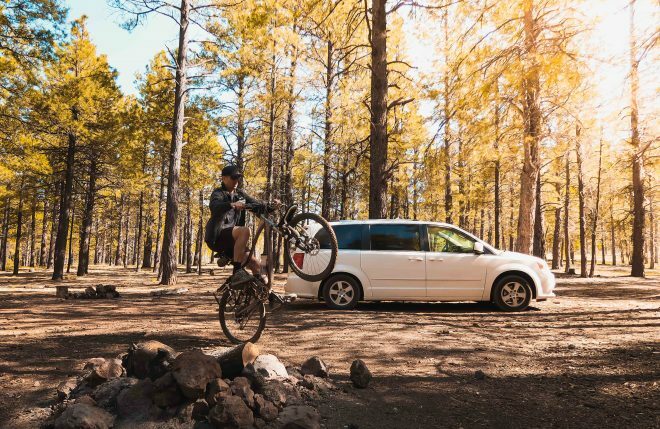 The van is relatively fuel-efficient, big enough to carry two bikes inside and still have enough room to sleep in at night. I’ll give you detailed tour of my new van at some point in the future, but for now, just know that this autumn I plan to spend three to four months driving around the western United States and stopping in some of the country’s most interesting and scenic locations. Once I find a place to park the van, I’ll load up my bicycle and take off on several short 3-10 day bike tours. I’m already planning bike tours in California, Oregon, Washington, Idaho, Utah, Colorado, New Mexico, Nevada and Arizona. If you have suggestions on where exactly I should go or which routes you think I should cycle in these states, please leave a comment at the end of this article and let me know what you have to say! The other hope I have for my camper-van/bike tour this autumn is that I will be able to meet up and possibly even ride with some of my Bicycle Touring Pro readers who live in the United States. So, if you live in the western United States and you want to ride with me (or maybe even let me shower at your home), please get in touch! So, there you have it! That’s a quick summary of what I have planned for the rest of the year. I’ll be cycling alone across Sweden, Norway and Finland for 25+ days. Then I’ll spend 45 days working and playing in Umeå, Sweden. 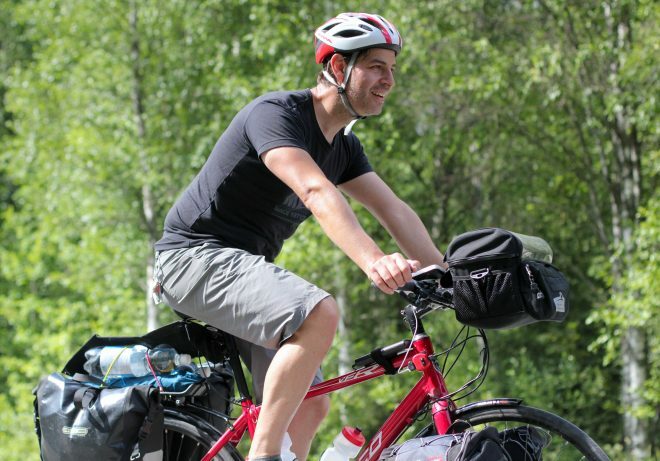 Then Rob and Doug and I will spent a week or so cycling across Sweden and Finland together. Then I’ll fly back to the United States and I’ll be traveling across the western portion of the country in my new van and stopping at some of the most interesting points along the way and conducting short 3-10 day bike tours in those areas. I can’t wait to share my 2017 bicycle touring adventures with you… and I hope you’ll follow the adventure here on the Bicycle Touring Pro website and on my various social media channels: Facebook, YouTube, Instagram, Twitter, Snapchat, Pinterest and Tumblr. 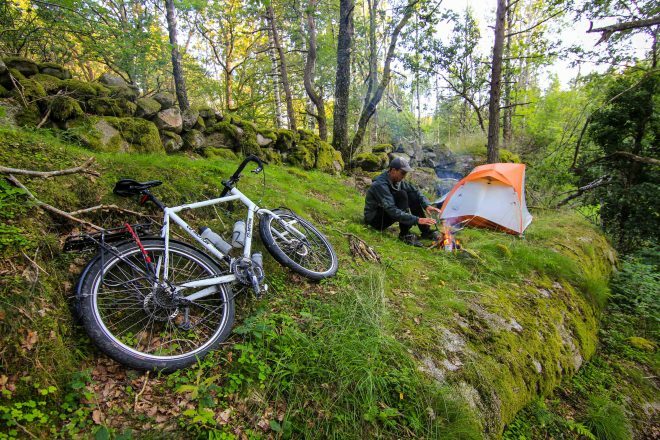 This entry was posted in Bicycle Touring Pro Articles, Darren Alff's Bike Tour Blog, Featured Articles, Finland, Locations, Main Articles, Main Featured Articles, Norway, Planning, Sweden, Uncategorized, Website Announcements and tagged 2017 bike tour, bicycle touring in finland, bicycle touring in norway, bicycle touring in sweden, cycling in scandinavia, finland, nordic bike tour, nordkapp, nordkapp norway, norway, scandinavia, sweden, umea, umea sweden, wild camping in scandinavia. Just a thought… love your videos by the way, you’ve inspired me to get out on my bike and make the most of Finland this summer, so Thanks! Yes, I do know about the ferry route between Vaasa and Umea… and I have considered it. It’s still a possibility actually. We’ll see what happens! I hope you have a great bike tour yourself in Finland this summer. Just curious, what drivetrain did you go with on your new bike? I have a Pinion 18-speed gearbox and Gates carbon belt on my new Co-Motion Cycles Siskiyou touring bicycle. Thanks so much for the offer Matt and Renee. I will definitely keep you in mind as I begin planning my trip across the Western USA later this year. Thank you once again! I have recently cycled to many different cities around London on my weekends, but it is very dangerous to ride on UK roads. Last month, I have cycled from London to Amsterdam over 4 days via Brussels and I had the time of my life while raising money for charity. I found your videos really helpful and been watching them on youtube and it really inspired me to cycle from Hamburg to Oslo next year. Should you need a cycle buddy anytime and anywhere, please let me know. That’s so awesome Amin. Congrats on your London to Amsterdam bike ride. Now, the question is… do you have any bike tours planned for later this summer? Hey Darren, I just thought I would let you know that if you are biking through Kennewick, WA in the summer, or Bellingham, WA in the fall, then you would have a place to stay for the night with me! Been a fan for about a year now, and love watching your videos! Just let me know if you will be going through either of my home bases these coming months, and have fun! Hey! Thanks so much for the offer. I don’t know where I’ll be going just yet on my tour this autumn, but I will keep you in mind. Thanks again! I might be passing through there actually. We shall see! Darren, You’ve become a legend in your own lifetime. And for all the right reasons. You inspire….an outstanding achievement and well deserved.